Are you thinking of buying your first home in Oklahoma? 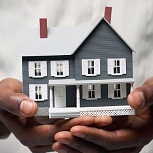 Would you like information on the various programs – some include a gift of money – to help you purchase that first home? If you answered yes to these two questions, there is great news for you. The state of Oklahoma provides several programs for its residents who are first time home buyers and need help with the down payment and closing costs. This money comes in the form of state grants. There are also programs offered at the county and city level. This is free money that shouldn’t be passed up! The outright grant awards or value of the programs can be in the thousands of dollars. It will be well worth your time to educate yourself about the programs that the State of Oklahoma provides. 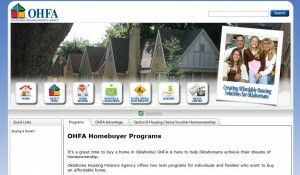 The agency in Oklahoma that provides assistance is The Oklahoma Housing Finance Agency. There is one grant program available, depending upon your income: OHFA Advantage. 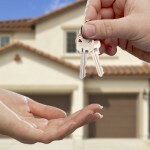 The program is specifically designed for the home buyers who do not have the funds for a down payment or closing costs. To find out the details of this program, please visit the Oklahoma Housing Finance Agency website page specifically describing it. You can do that by going to this page. OHFA Advantage offers 30 year, fixed rate, low interest home loans with 3.5% down payment assistance to homebuyers, statewide. To qualify for OHFA Advantage (state bond money), contact a participating lender. Homebuyers must meet income, purchase price and credit score guidelines. The maximum purchase price is $214,925 and a minimum credit score of 640. For more information, call the Homebuyer Hotline at 1-888-937-1122. “CARD’s Homebuyer Assistance Program provides down payment and closing cost assistance for income qualified individuals to help with the purchase of a home. This program is available for the purchase of homes in the rural areas of Rogers, Wagoner, and Washington counties and in the city limits of Catoosa, Claremore, Coweta, and Bartlesville. There is a $3,500 maximum of assistance available per home. “KI BOIS Homebuyer Program provides assistance to income eligible families for down payment/closing cost assistance. This assistance is in the form of a second mortgage for up to $7,500. 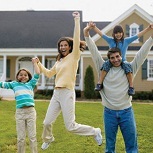 “A home is usually a family’s most important asset and most significant investment. Homeownership can increase family stability and self-sufficiency and result in safer, more stable communities. In order to increase homeownership, improve a family’s assets, and stabilize neighborhoods, CAP’s First-Time Homebuyer program offers both pre- and post-purchase housing counseling, debt management and credit repair advice, down payment assistance, and predatory lending education. As a HUD-certified housing counseling agency, CAP has extensive experience in providing both pre- and post-purchase housing counseling and financial management education. All services are offered in both English and Spanish and are designed to help low- and moderate-income clients prepare for successful home purchase and ownership. “Through the HOME Investment Partnerships Program (HOME) funded by the U.S. Department of Housing and Urban Development (HUD), the City provides down payment and closing costs assistance (DPA) to income eligible families and individuals. The HOME program does not have a first-time homebuyer requirement; however, the assistance is only available for homes purchased in certain areas. The HOME program offers $6000 in assistance to applicants wishing to move into a Neighborhood Revitalization Strategy Area (NRSA) or other targeted neighborhoods. $3500 is provided for outside targeted areas that exist within a CDBG eligible census tract. 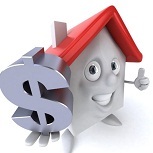 Homebuyers seeking DPA must receive homebuyer education, for which there is no charge. To view program Guidelines and DPA map of approved geographic locations click here. “Home buyer assistance programs provide down payment and closing cost assistance (DPA) for low to moderate- income families and individuals that qualify under each of the DPA Program’s Guidelines. There are three DPA programs available. All DPA Programs are contingent upon funding availability and are administered on a first come first serve basis. This entry was posted in Down Payment Assistance, First Time Home Buyer Grants, First Time Home Buyer Info, First Time Home Buyer Programs and tagged CARD Homebuyer Assistance Program, DPA, OHFA Advantage. Bookmark the permalink.